Aunt Claudia’s Dolls, a Museum preserves the collection and legacy of Claudia Kelsey, an avid doll collector and beloved former Juneau, Alaska resident. 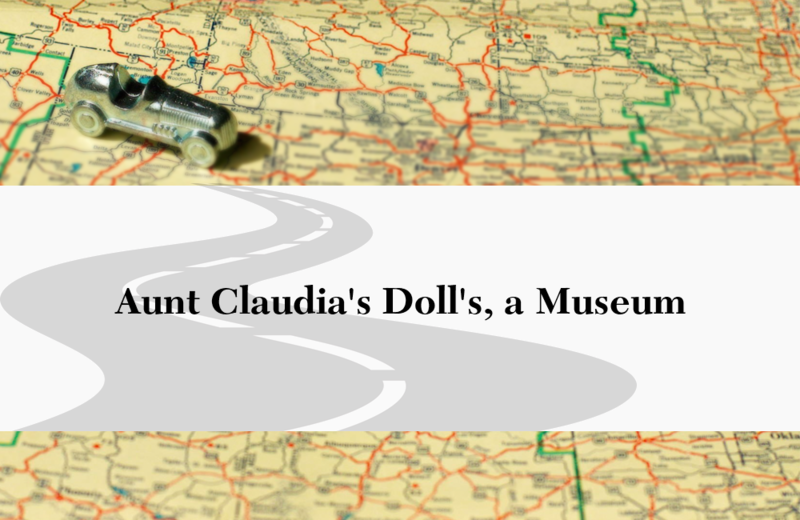 When Claudia Kelsey died in 2007, she left behind hundreds of dolls and miniatures; the result of a lifetime of collecting. Recognizing the significance of the collection, Kelsey’s friends and family worked to document and preserve the collection. The result is Aunt Claudia’s Dolls, a Museum; a free experience opened in 2010 to showcase Kelsey’s impressive collection. Included amongst the homey displays are dolls fashioned from wood, plastic, and porcelain along with doll clothing and miniature doll houses. Handmade native dolls from around the world hold special significance as they represent a wide range of cultures and eras. The Museum is curated by Kelsey’s longtime friend Mary Ellen Frank, a doll maker whose studio is located within the Museum. Frank can often be found working in her studio or fondly sharing the stories behind the collection. Aunt Claudia’s Dolls has expanded three times since opening. The collection has grown to over 800 items, thanks in part to donations from fellow collectors from around the world including Greenland, Scandinavia, Siberia, and Iceland. Visitors leave the Museum with a deeper appreciation for the artistry of doll making and collecting in general. The Super Museum proudly presents something for each generation of Superman fan to enjoy and discover about Clark Kent/Superman. Since its opening in 1986, the National Farm Toy Museum has combined over 30,000 farm toys, pedal tractors, and dioramas with exhibits on agricultural history.